The early results of a mediation program regarding Stryker Rejuvenate hip replacement lawsuits are encouraging. Many of the cases that have been filed and that have gone through this program have successfully reached settlements. The claims were filed against Stryker, the manufacturer of an artificial hip replacement product that was used in thousands of surgeries. These Stryker Rejuvenate lawsuits were filed because the plaintiffs claimed that the product failed after being implanted in their bodies. These early settlements are seen as an encouraging sign because the ability to negotiate settlements could save many injured consumers from the stress of having to wait months or even years for a result in their cases. The mediation program was ordered by a court in New Jersey, which is currently home to more than 1,500 Stryker Rejuvenate hip replacement lawsuits. These claims have flooded the dockets there and the hope was that pushing some cases into mediation could help streamline this entire process. According to data presented at a status conference last month, 17 of the first 18 cases that were ordered to mediation have reached settlements. The hope is that the judge overseeing this massive legal situation will continue to order individual claims into this program. The problems relating to the Stryker hip replacement product date back several years. 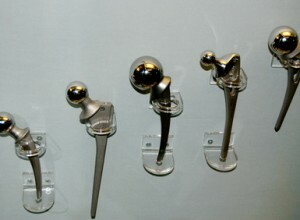 When the product was introduced to the American marketplace, it was seen as unique from other artificial hips that were available at the time. The Stryker product provided doctors with the opportunity to shape the artificial hip in a quasi-custom manner in order to fit the patients more comfortably. The theory was that these Stryker hip replacements would provide patients with more comfort, an easier recovery from hip replacement surgery and a product that lasted longer than others. Unfortunately, that did not turn out to be the case for a large number of consumers. The Stryker hip replacement product contained two metallic pieces that fit inside of each other. One of the most common problems reported in association with this product was that the rubbing of these two metal components together because of ordinary movement by patients led to the release of tiny metal particles into people’s blood systems. This release of metallic fibers can and has led to metallosis, which is basically a form of metal poisoning. This problem has led to the need for many people to have these implants removed. The product was ultimately recalled in 2012. What the developments above should tell people is that the defendant in these claims may be willing to negotiate settlements with those who have been harmed. However, people in this difficult position need experienced legal help to make sure that they pursue every form of loss that they both have incurred and will incur in the future. If you have been harmed in this manner, contact the Stryker Rejuvenate lawyers at Parilman & Associates today to schedule a free initial consultation. You can either email the firm or call 800-800-DRUG.